Prakyath is using Smore newsletters to spread the word online. 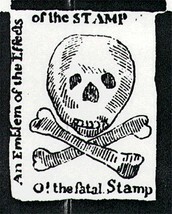 The Stamp Acts skull and crossbones were clearly stamped on certain goods shipped to the colonies. It was a direct tax after the sevens years war that was imposed by the British Parliment to recover some of their financial losses after defending the colonist from the French. 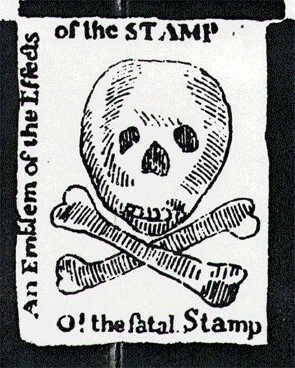 Because of the Stamp and Act, colonist began to become uneasy and often times rebellious. This rebellious spirit created the idea for the Sons of Liberty. 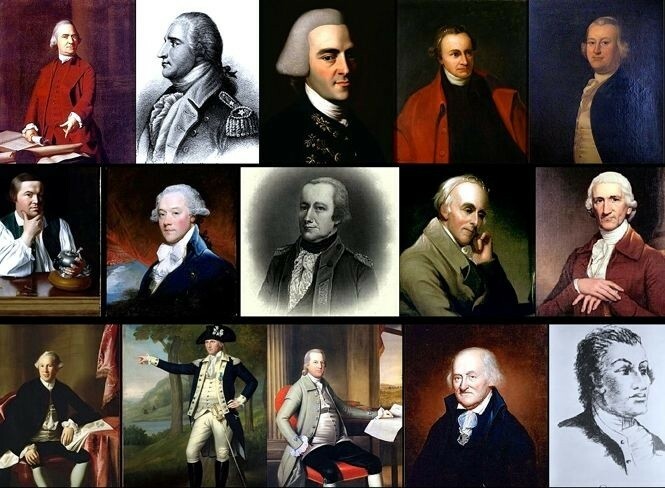 These men fought for the rights of the colonists and in the end, threw all the taxed tea into the harbor. Because of this the British invoked the Intolerable Acts which was the last straw for most colonists leading to the beginning of the American Revolution. 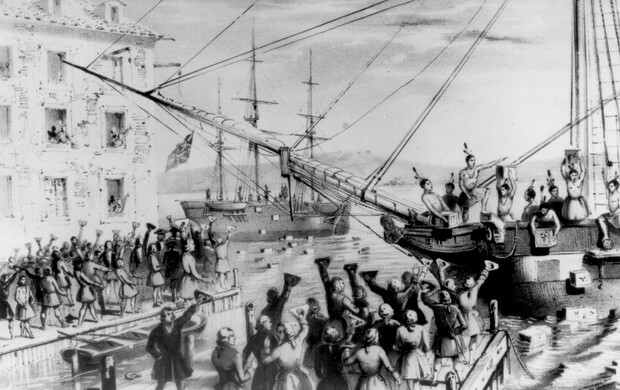 The Boston Tea Party was a protest against the British Tea Acts by The Sons Of Liberty in Boston. 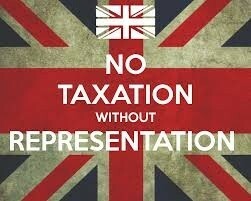 The British were once again trying to tax goods in the colonies whom had no say in the taxation itself. The colonists of Boston dressed up as Native Americans, boarded a merchant ship, and threw large crates of British tea into the harbor. 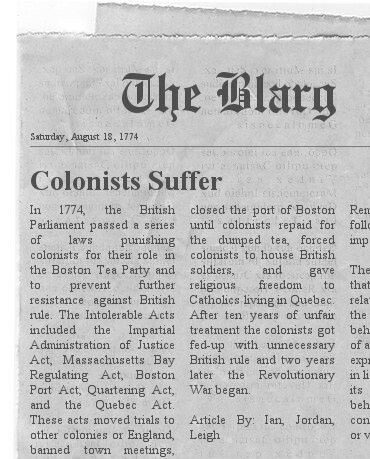 The Blarg Article was written by colonists explaining the injustice being forced against them. The Intolerable Acts of 1774 completely cut off Boston's Harbor which forced many families into starvation until they could pay the British for all the tea that was spilled into the harbor. These Acts also forced many families to house soldiers even in times of need. The Intolerable Acts were a British way of trying to gain power once again.